Editor's note: Howie Stalwick has been a contributor to the Inlander and a long list of other media outlets nationwide. This month he announced his retirement from the sports writing world. Since 2002, Stalwick has been a freelancer so he could have more family time and watch all of his eldest daughter’s college softball games. 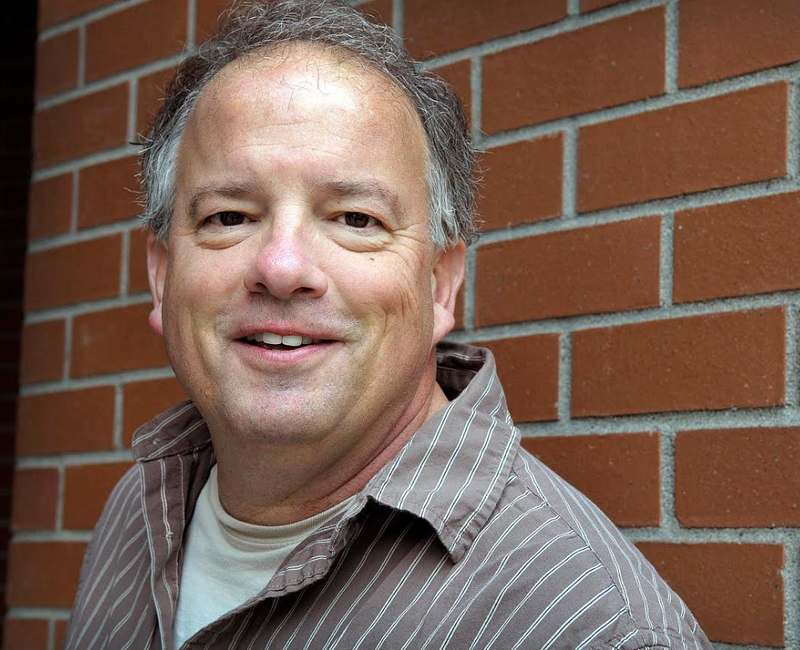 He previously worked on the sports staffs of such daily newspapers as the Coeur d’Alene Press, The Spokesman-Review and The Oregonian. Howie and his wife Jennifer, who he calls "The World’s Most Understanding Spouse," wish to thank their remarkable children, Shanna and Cheyanne, for putting up with, as he says, "their dad’s weird job." Forty years ago, my Aunt Martie listened politely as I spoke excitedly about my budding career as a sports writer. When I finally paused to take a breath, she asked the only question that seemed relevant to her. “Do you,” my dearly departed aunt wanted to know, “think you’ll ever be able to work in real journalism?” I guess we’ll never know. After 44 years as a sports writer, it’s a little late for me to become a real journalist, so I am retiring. It’s nothing personal, Mr. and Ms. Reader. I still love ya. I’ll love you until I collapse lips-first on the keyboard of my (somewhat) trusty laptop. That said, reality has slapped me in the face: I’m an old man taking up a young person’s job, so it’s time for us to part ways. Simply put, I need to stop typing about people who sweat for a living. Or for a scholarship. Or just for the fun of it. Oh, how I have cherished my four decades as a sports writer. It started out as puppy love, nurtured in James Knox’s journalism class at long-gone Queen Anne High School in Seattle. My first published work was an article in the school newspaper about the varsity baseball team that had so ruthlessly cut me that spring. I shamelessly sucked up to legendary Grizzlies coach Mel Waite during our interview. This would appear to be the only possible explanation for Mel’s decision to start me at third base the following year. To this day, I like to think I was the premier 5-foot-6, 120-pound, submarine-and-sidearm-throwing, wire-rim-glasses-wearing third baseman in Metro League history. Of course, I presume I remain the only 5-foot-6, 120-pound, submarine-and-sidearm-throwing, wire-rim-glasses-wearing third baseman in Metro League history. Details, details. My love affair with sports writing flourished as I moved on to weekly papers, dailies, magazines and online media. Thanks to the miracle that is the internet, I can look up some of my best work from yesterday or yesteryear in a matter of seconds. What’s that you say? It only takes a few seconds to read all of my best work? Fire away, baby, because I’m absolutely bulletproof in retirement. Best of luck trying to track me down, because I’ll be traveling coast to coast and beyond until my bank account is running on fumes. Jennifer, my faithful travel partner, is joining me in retirement after a long and highly successful career as a teacher and coach at Central Valley High School in Spokane Valley. She’s the best wife I’ve ever had. So far, anyway. I’ve had the good fortune to cover everything from Rose Bowls to Stanley Cup finals to NFL playoff games to NCAA basketball tournaments to (honest!) Mariners post-season games. I had the best seat in the house when Bo Jackson ran over The Boz, Nolan Ryan threw his final pitch and Wayne Gretzky made pucks dance. I watched a smiling Ken Griffey Jr. bury rivals, a sneering Adam Morrison bury 3-pointers, a sobbing Bill Doba prepare to bury the wife he adored. I witnessed the intimidating brilliance of Jack Nicklaus, the quiet dignity of John Olerud, the tortured soul of Corissa Yasen, a Coeur d’Alene High and Purdue University track and basketball whiz who left us far too soon. I always considered virtually all sports, at any level, incredibly fun and rewarding to cover. After all, someone actually volunteered to pay me to watch highly motivated (for the most part) athletes striving to do their best. Thus, the events were inherently interesting. To me, anyway. I will continue to follow sports with great passion as a fan, but major adjustments must be made when I attend events. No more free admission and meals. No more early arrivals and late departures. (Traffic? What traffic?) No more daily contact with some of the most fascinating people on planet Earth. I am one lucky dude. Thank you for reading my work on occasion. Now, it’s time for me to join you in the stands. The first beer’s on me.